A.J. Croce (born Adrian James Croce on September 28, 1971 in Bryn Mawr, Pennsylvania) is an American singer-songwriter. He is the son of singer-songwriter Jim Croce. Shortly before his father's death in a 1973 plane crash, Croce's family moved west to San Diego, California, where his mother, Ingrid, raised him. At the age of four, Croce was completely blinded, as the result of a brain tumor. Between the ages of four and ten, Croce gradually regained vision in his left eye. It was during this difficult time in Croce's life that he began to play the piano. Shortly before his father's death in a 1973 plane crash, Croce's family moved west to San Diego, California, where his mother, Ingrid, raised him. At the age of four, Croce was completely blinded, as the result of a brain tumor. Between the ages of four and ten, Croce gradually regained vision in his left eye. It was during this difficult time in Croce's life that he began to play the piano. "I learned to play music by listening and playing along to the radio and to records..." Croce says, "At some point I was given the music of Ray Charles and Stevie Wonder as inspiration, which it was, and has been ever since." Croce's first paying gig was at the age of 12, when he was paid $20 to perform at a Bat-Mitzvah party. By the age of 16, Croce was performing regularly at San Diego nightclubs, as a sideman and band leader. Croce reflects, "I was into every kind of music... you might say I was unfocused, but I consider an eclectic taste in music to be the foundation of versatility." Croce's house burned down when he was age 15. Ron Goldstein and Peter Bauman of Private Music signed Croce to his first record deal at age 19. He recorded two CDs for Private Music: his self-titled debut, "A.J. Croce," produced by T-Bone Burnett and John Simon, and "That's Me In The Bar," produced by Jim Keltner, and featuring artists such as Ry Cooder, David Hidalgo, and Keltner himself. Croce's third release, "Fit To Serve," was recorded in Memphis, and produced by Jim Gaines, who had previously produced Van Morrison, Santana, and The Steve Miller Band. Croce then took a musical turn with the release of his album Transit. He explained, "I had been playing blues-based music for a long time, and I was ready to try something new." Transit was compared by critics to the work of John Lennon, Elvis Costello, Bob Dylan, and Van Morrison. Glen Starkey of New Times labeled Croce "a song crafter of the first order." 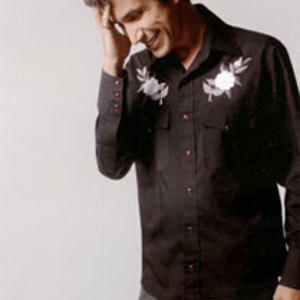 A fifth CD, titled "Adrian James Croce" was released in the summer of 2004, and a sixth CD, Cantos, in 2006. Croce has performed as an opening act for artists such as Carlos Santana, Rod Stewart, Aretha Franklin, Willie Nelson, Lyle Lovett, James Brown, Ben Harper, Dave Matthews, Earth, Wind and Fire and Ray Charles. He has also performed on such national venues as The Tonight Show with Jay Leno, The Late Show with David Letterman, Late Night with Conan O'Brien, The Today Show, Good Morning America, and Austin City Limits.